Apple is set to introduce a new iPhone with a larger screen and an overhauled design that late Apple co-founder Steve Jobs "worked closely on" before he died, according to a new report. Bloomberg is the latest outlet chiming in with a report that Apple will make drastic changes to its 2012 iPhone. According to people familiar with Apple's plans, the Cupertino, Calif., company has ordered from suppliers screens that are "bigger than the 3.5-inch size" that the iPhone has sported since its debut in 2007. "Apple co-founder Steve Jobs had worked closely on the redesigned phone before his death in October," the report noted one person as saying. Another source said that Jobs had played a "key role in developing" Apple's next-generation iPhone. If Apple were to perform a major redesign of the iPhone, it would be the device's first since the iPhone 4 arrived in mid-2010. The previous design, that of the iPhone 3G and iPhone 3GS, was also kept for two years before the current form factor was introduced. With three mainstream media outlets reporting similar claims in the same week, the likelihood that Apple will expand the screen on its best-selling handset appears high. On Wednesday, The Wall Street Journal said that LG Display, Sharp and the newly-created Japan Display are readying production lines for 4-inch displays bound for Apple's sixth-generation iPhone. Reuters then noted that production of the new screens could begin as soon as next month, ahead of full production of the next-generation iPhone in August. Pundits have suggested that Apple's interest in a larger-screen iPhone comes in response to pressure from ever-increasing screen sizes of competing Android handsets. For instance, Samsung's Galaxy S II, the most popular Android phone according to one recent study, has a 4.8-inch screen. The Galaxy Note, also by Samsung, is a hybrid smartphone and tablet with its 5.3-inch display. 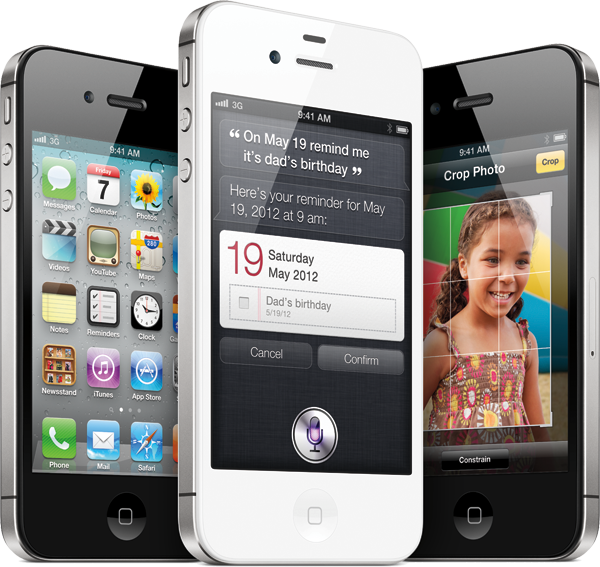 Apple is widely expected to bring a new iPhone to market this fall, roughly one year after the iPhone 4S went on sale. Sources have disagreed, however, on whether the device's launch will come in September or October. Multiple reports have also suggested that the 2012 iPhone could make the jump to 4G LTE. Apple is expected to make use of new LTE chipsets from Qualcomm with improvements to power consumption over the previous generation.